Jason Vita, Creative Director and Owner, of tinbox marketing solutions, Inc. joins us again as a guest blogger. We are always looking to add to our list of proven guest bloggers that offer experienced professional marketing view points and to share best practices with our followers. Enjoy! The past decade has seen a boom in technological advances, within the creative community. From affordable pricing on once-unobtainable hardware, to graphics/editing software that handle techniques once reserved for rubylith cutting veterans, the line between creative professional and amateur filter jockey becomes blurrier and blurrier. So much so, a viable business model has sprung up, taking advantage of the “one-touch retouch” fledgling creative that is looking to get a foot in the door, by setting fire to the entire building. “What is this business model?” you might be asking. It’s called lowballing, and it’s priming our industry for a serious disaster. offer a deceptively or unrealistically low estimate, bid, etc. to. While this applies to many fields that are related, I’ll be speaking from the viewpoint of a Graphic Designer. 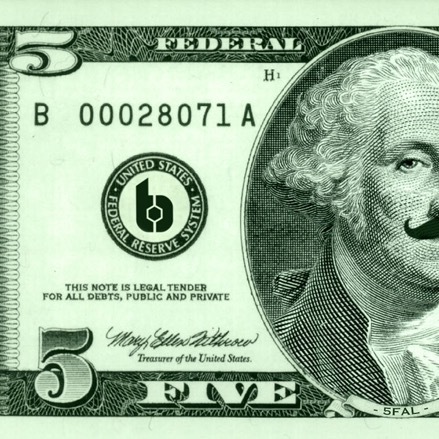 Crowdsourcing and “$5 for a logo” (I’ll call them 5FAL) companies are absolute death for the creative industry. These types of companies rely on utilizing a group of designers to create work for a client, often at a dirt-cheap price, or providing a marketplace that sells designs and/or creative services for a vastly undervalued rate. It provides a means for businesses to access a multitude of designers and artistic styles. However, it lowers the overall perceived value of the work we do. Are we guilty of price gouging? Sure. Since it is tough to quantify when work begins/ends and what qualifies as work related activity, some creatives have taken advantage and charged for everything. Listened to a 30-second voicemail about a project? Half-hour of billing. It’s sad, and just as destructive, as crowdsourcing and 5fals. Did we, inadvertently, start this trend? Possibly, as a means for new designers to drum up new business and counteract the aforementioned gougers. Are we, equally, at fault for subscribing and participating in these business models? Absolutely. Is reducing the average wage of entire industries the answer? Absolutely not, yet, that is exactly what these companies do. This particular designer’s normal rate is $55 per hour, but is having a hard time drumming up business, so takes the job. 2 hours of work was put in to create a vanilla logo, using templated graphics and a safe (read: quick) layout. Client likes the initial draft, but requests tweaks. Designer agrees, putting in another hour of work. Resubmits. Client approves. File is packaged and delivered to 5fal, while money is transferred to designer (after 5fal takes its cut. Let’s assume it’s $1). Add to that, the possibility of client retention. While the designer may have acquired a new client outside of 5fal, they have to now justify a 1000% increase in rate for new projects. lowballed designer. potentially skeptical business owner. high chance of losing return business. As for 5Fals and crowdsource companies, I’ll consider supporting the models ONLY if their owners choose to do the same. Find the best IT professional that can maintain your servers, for five bucks. Get excellent legal representation, to protect you from lawsuits, from a stable of lawyers in another country. Find and subscribe to a quality health plan for you, your loved ones and your valued employees, for….you get the idea. You can find more of Jason Vita’s thoughts and design genius at www.tinboxsolutions.com or at facebook.com/tinboxsolutions.